At the start of the 2017/2018 Season, the CPO welcomed a new era of leadership with Maestro Rune Bergmann stepping into the role as Music Director after a decade of leadership under Grammy and Emmy Award-winning conductor Roberto Minczuk. Norwegian conductor Rune Bergmann is considered among today’s most talented Scandinavian conductors. His elegant interpretations and reputation as an inspiring and profound musician continue to attract the attention of orchestras around the world. He has been Principal Guest Conductor of Lithuania’s Kaunas City Symphony Orchestra since 2013 and Artistic Director of Norway’s innovative Fjord Cadenza Festival since its inception in 2010. Maestro Bergmann enters this role with prominent vision to showcase the CPO on the world stage. 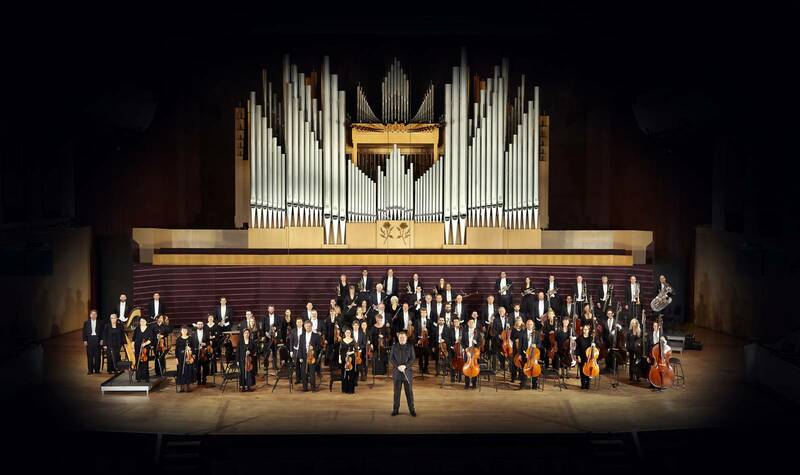 The CPO was created in the 1955 merger of the Alberta Philharmonic and the Calgary Symphony. Performing in Calgary’s Grand Theatre to a small but enthusiastic audience at first, the Calgary Philharmonic gained wider attention in 1957 with the completion of its first home, the Jubilee Auditorium. As the audience grew and public acclaim heightened, in 1985 the Calgary Philharmonic moved to its permanent home in Arts Commons’ (formerly EPCOR CENTRE for the Performing Arts) Jack Singer Concert Hall, one of North America’s most acoustically acclaimed venues. Past Music Directors of the CPO include the late Mario Bernardi, who guided the Orchestra from 1984 to 1992 and led them through a period of tremendous artistic growth. He also led the CPO’s first North American tour which brought the ensemble to new creative heights. The tour garnered rave reviews after performing in some of the world’s best-known concert venues, including Carnegie Hall. From 1995 to 2003, the legendary Hans Graf was Music Director, leading the CPO to its award-winning European tour in the fall of 2000, making it the first Western Canadian orchestra to tour Europe. In June 2006, the Calgary Philharmonic Society proudly bestowed upon Maestro Hans Graf the honourary lifetime title of Music Director Laureate in recognition of his immense contributions to the CPO. Other past music directors and principal conductors of the CPO include: Henry Plukker (1955 to 1962) Haymo Taeuber (1963 to 1968), José Iturbi (1968 to 1969), Maurice Handford (1970 to 1975), Franz-Paul Decker (1975 to 1977 – interim), and Arpad Joo (1977 to 1984). The CPO provides several different concert series: Masterworks, Showcase, Discovery, Rush Hour, Pops, Specials, The Magic of Christmas, Symphony Sundays for Kids, Bach@Knox boroque festival, and an annual themed festival. The CPO serves as an active leader in the community providing educational performances and outreach opportunities for students, seniors, and other charitable organizations. Performing for more than 110,000 people each year, the Calgary Philharmonic Orchestra continually reaches new heights of artistic excellence and looks forward to continuing to provide its audiences with the exciting live music experience.